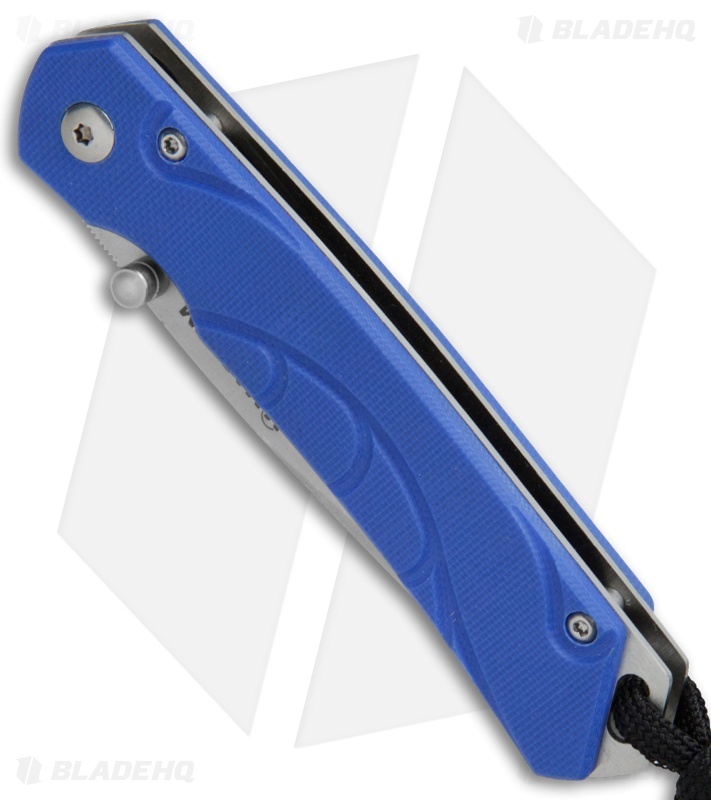 Get slim EDC perfection with the Boker Magnum Blue Sierra pocket knife. 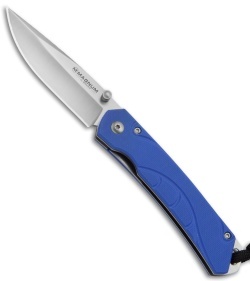 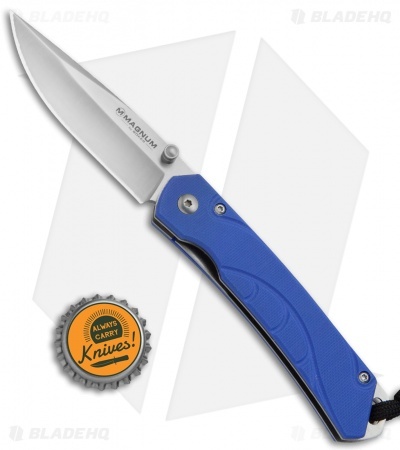 This model sports a blue G-10 handle and a satin finished blade with a plain edge. The G-10 scales rest over a stainless steel liner lock frame that is both lightweight and sturdy enough for tough cutting jobs. It has an extended frame with a lanyard hole and a braided lanyard cord. 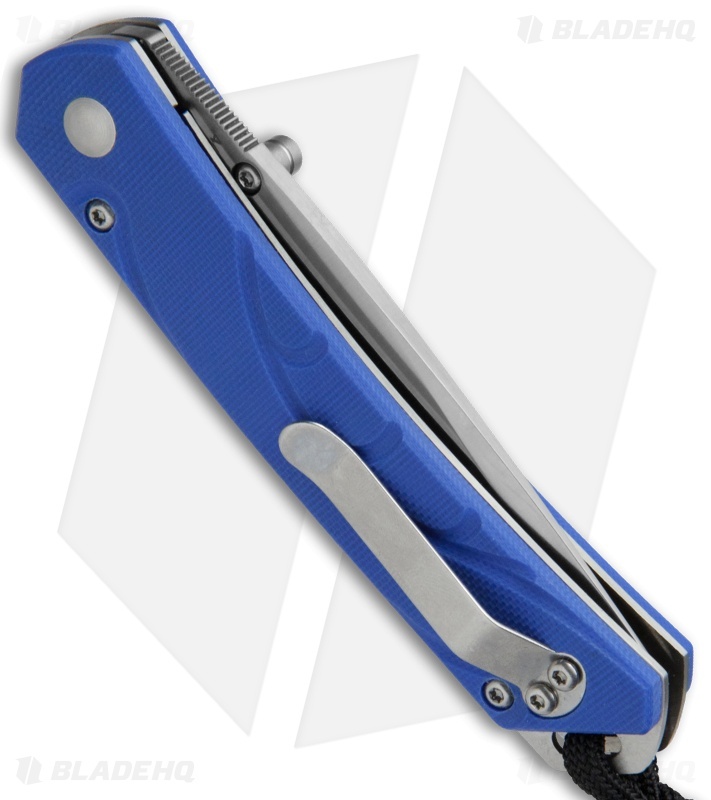 A sturdy stainless steel pocket clip finishes off the solid EDC design.